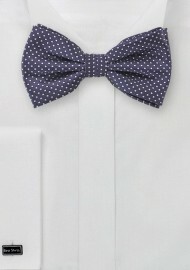 Adorn yourself with a bow tie that highlights the face and adds a spot of dotty cheer to your ensemble. Designed by Puccini, this artfully crafted neck piece comes in a dark shade of eggplant purple, and is decorated by a delicate pattern of white pin dots. To ensure a silky smooth texture at an affordable price, this piece is jacquard woven from man-made microfiber that looks and feels like real silk. 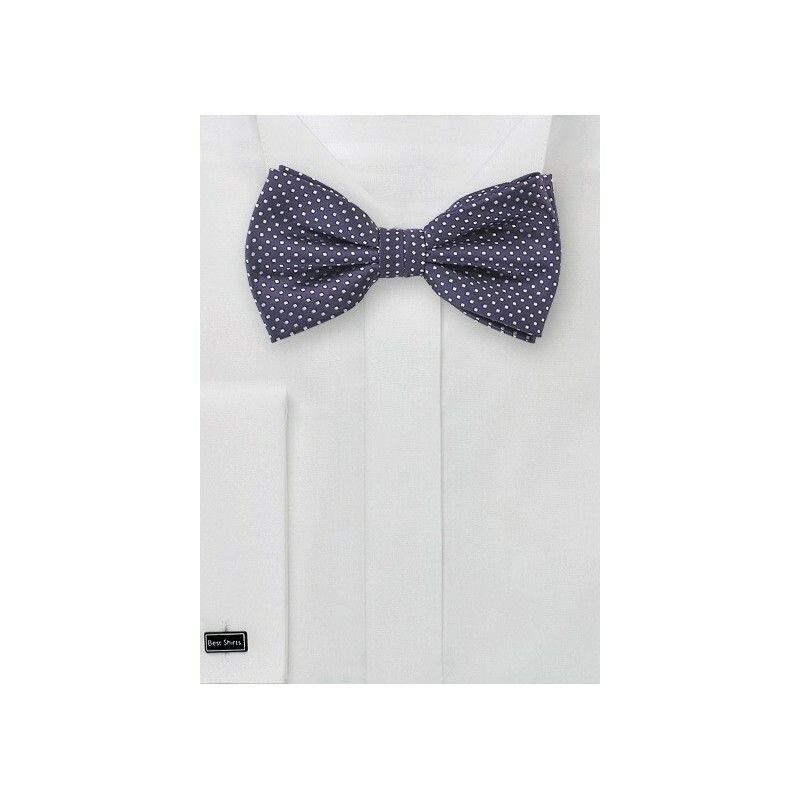 A pre-tied bow and adjustable neck strap eliminate fuss and make getting ready fast and easy.